The availability of the Smart TVs is made our streaming experience very smooth. There are lots of Smart TV available but in this article, I am going to share some Android Smart TVs which are best in the market in 2019. The internet has made lots of things possible including making your TV smart. Smart TVs offer a lot as compared to ordinary digital and cable TVs. The primary function of these smart TVs is streaming. With various platforms and apps, you can cut the cord and switch to an online TV. Watching content online is as cheap as some of it is freely and legally available. Besides streaming, there are also other things you can do with a smart TV such as gaming and accessing other internet related applications. 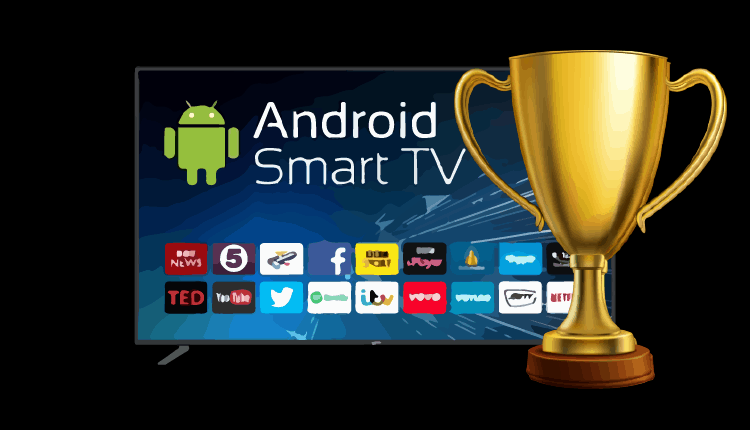 There are a lot of smart TVs out there, but today we are going to look at the best Android smart TV. With a smart TV, the bigger the screen size, the better. Sometimes this is not exclusive since other technologies and factors may affect the size such as physical space. Resolution is essential as it determines the picture output that you’ll see on your screen. The bigger the screen size, the more resolution (Pixels) you will need. In 2019, the best resolution is 4K or Ultra HD. 4K is becoming a viewing standard as most media providers are producing content in 4K resolution. Besides resolution, different display technologies also affect how you will view content on your screen. Currently, most TVs use light emitting diodes (LED)to illuminate the images on your screen. Most screens use LED with LCD panels or OLED panels. OLED screens are better in terms of contrast, but they are expensive. On the other hand, LCD offers sharper images, and it’s the common screen technology. Pictures and movies can be displayed differently on different TVs. On some, they may look sharper while they may seem dull and unclear on others. This is because some screens use picture improving tech that brings out more details by enhancing the range of colors in the content. Such tech includes high dynamic range (HDR) and Dolby Vision. The refresh rate is also necessary as it also determines how clear the images will be displayed, most TVs use 60Hz to 120Hz. This is one of the best and most pricey Android Smart TV from Sony. It has a frameless design and sports the OLED tech with HDR, a combination that produces a brilliant image quality. With the X1 Extreme™ processor, its capable of streaming in 4K with self-illuminating pixels, high contrast ratios, and absolute blacks. Besides picture quality, the other amazing thing is its sound quality. Its audio system is referred to as acoustic surface. That’s, it has screen exciters that vibrate the screen to produce sound without affecting the display. You can’t see the vibrations on display unless you touch the screen. There’s also a low-frequency subwoofer integrated onto the stand. This series is available in 55-inch, 65-inch, and 77-inch screen sizes. If the Sony A1E Series OLED TVs is too extra or for some reason you don’t want it, then the Sony Bravia X900F Series is your best Android TV option from Sony. Similar to the A1E series, it has the X1™ Extreme processor which offers powerful real-time image processing capability. This capability renders images in 4K and boasts a superb x-motion clarity. Its wide color gamut combined with a powerful SDR to HDR remastering produces consistent, clear images. This series also has a smooth direct LED backlight with local dimming which will never give you eye fatigue. It also works with Alexa enabled devices seamlessly. Phillips also produces Android TVs, and it recommends its OLED 9 series. This TV has powerful features and specs such as the 3-sided Ambilight version. Ambilight gives you a much more immersive watching experience by illuminating the surrounding walls. It uses OLED with a Perfect Picture engine which ensures clear 4K content, thanks to its increased picture processing power. HDR tech also redefines color and contrast in the display. Its speakers use the triple ring tech coupled with the DTS HD premium sound processing engine for an ultimate rich and clear audio clarity. Most people only know about the Roku version of TCL smart TV. But this company also produces Android-based Smart TVs with the same quality as the Roku ones. This Android TV version runs on Android Nougat, and unlike their Roku counterpart, it displays content in UHD. It uses a wide color gamut with HDR to produce unparalleled dazzling picture quality. This combination offers richer natural colors with accurate dark and light shades. It uses Harman Kardon, one of the leaders in the audio industry to produce its exceptional sound. These are budget friendly Android Smart TVs that are now popular due to Hisense’s affiliation with the just concluded FIFA world cup. With the ULED technology, Dolby Vision, and a wide color gamut, these smart TVs offer content in 4K at an ultra-motion refresh rate of 120Hz. They also use HDR10 as their picture-enhancing technology. They have a balanced theater-like audio experience produced by the Harman Kardon tech. There are a lot of Android Smart TVs out there, and we can’t cover all of them, let us know your favorite 2019 model in the comment box below. However you can always choose to purchase an Android TV Box and convert your TV into an Android TV. If is the case, we sugest you to check out our Best Android TV Boxes review.